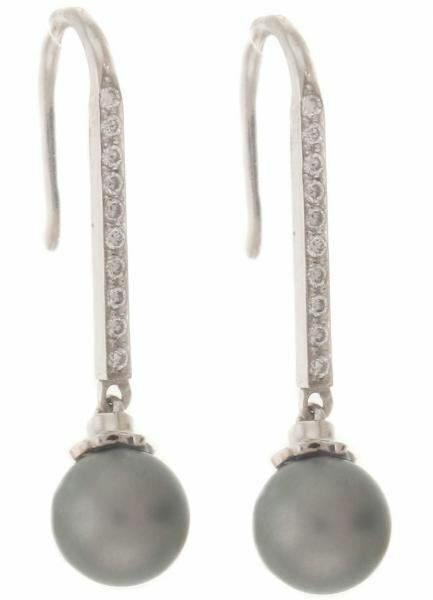 Tahitian Pearl Earrings with diamonds by NINACCI and sold by Bayside Jewelry. Special order dangling earrings with customer's Tahitian pearls set on a white gold with prong set round diamonds. D0.25ct.t.w.